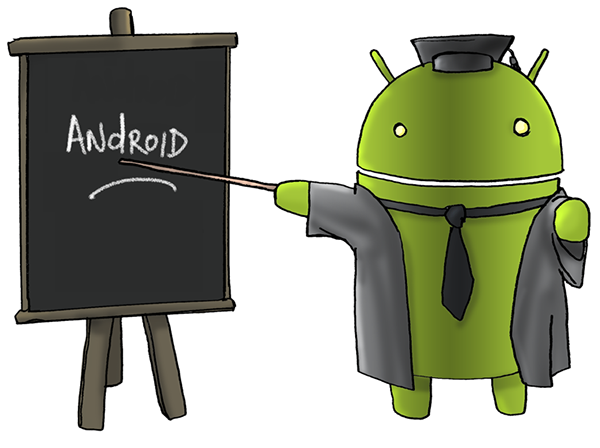 Android is a very popular operating system that’s used by many smartphones and tablets from all over the world. Today we’re going to talk about some tips and tricks that you can use on your Android device. Keep in mind that depending from a device or another (they come with a custom user interface) some steps that we will mention below might differ. When you run an application, you will be able to minimize it by simply tapping on the “Home” button. In order to get back to the application you’ve minimized, you will need to tap on the “Recent Apps” button that’s located on the right side of the “Home” button, and select the application from the list. The Android OS will not close a running app every time you get “out” of it. With other words, sometimes you will need to “force stop” an application that’s eating too much CPU or RAM. To do this, you will have to go to the device’s Settings->Apps, select the application that you want to close and tap on the “Force Stop” button. To install an application on Android is pretty easy, as all you will need to do is open the Google Play Store and search for the game/application you want to have installed on your smartphone. It’s also very easy to uninstall an application, as all you will need to do is tap and hold the icon of the application/game you want to uninstall. Once you do this, you will see some new options along with the “Uninstall” option. So, just tap on the “Uninstall” option and, after that, confirm it by selecting “OK”. As we’ve told you above, the easiest way to install an application on an Android device is to search for it on the Google Play Store. However, there are some applications that are not found on the official Android store and you will need to manually install them on your mobile device. First of all, you will have to download the APK (installation) file of that particular application and, after that, you will need to enable the “Unknown Sources” option. This option will allow you to install APK files that have been downloaded from third party sources. The “Unknown Sources” option can be found on your device’s Settings->Applications or Settings->Security (it depends from an Android OS to another) and to enable it, you will just check the box that’s located in the left side of it. Once the “Unknown Sources” option is enabled, you will just need to go to the location where you’ve saved the APK file and tap on it to start the installation process. When you install new applications on your Android device, the operating system will automatically stack up the icons, without asking you to select a home screen for them. However, you can re-arrange them on the home screen and on the tray. To re-arrange an icon you will just need to touch and hold any icon for a second and after that drag the icon to a different spot on the screen. When you are typing, you will notice that the operating system checks your spelling and it suggests you a few words. The highlighted suggested word overwrites your word when you finish typing it, followed by a space or punctuation mark. If the auto-correction is too annoying for you, it can be turned off by going to your device’s Settings->Language & Input and under PERSONAL tap on the “Quick Settings” icon next to the “Android keyboard”. Under Text Correction you will need to select “Auto Correction” and turn it off. By default, the screen of a mobile device that runs on Android will switch to either portrait or landscape view as a response to the way you are holding the device when you run specific applications. However, if you want to lock the screen orientation to one view so that the screen will not rotate by mistake, you will just need to head to your device’s Settings->Display and uncheck the “Auto-rotate screen” option. When you are using an Android device that has mobile data connection enabled, you will be able to share the connection with your buddies. With other words, your device will act as a “wireless router” and you will be able to share your internet connection with your friends. To do this, head to your device’s Settings->More->Tethering & Portable hotspot and enable it. After that, you will be able to configure the Wi-Fi name and even set a password to make sure that only the people who know the password will connect to your shared connection.